The roots for RBI Baseball begin with Tengen's controlling company, Namco. In December of 1986, Namco released Pro Yakyuu Family Stadium (aka Family Stadium) for the Nintendo Famicom, the Japanese version of the Nintendo Entertainment System. Family Stadium was a success and spawned numerous sequels across a variety of platforms in Japan. In 1987, Atari Games, the American arcade division and Tengen's parent company, ports Family Stadium to the Nintendo Vs. Series and releases Vs. RBI Baseball. The game was also a success and the programmer for Vs. RBI Baseball, Peter Lipson, then started on a console version for the NES. 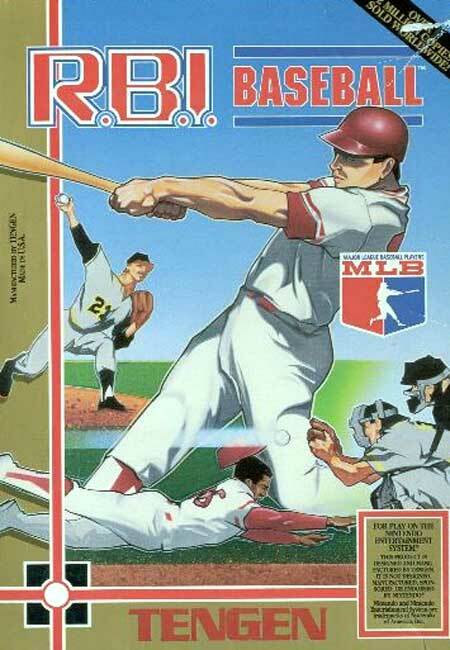 Although it also featured excellent gameplay, the MLBPA license is what set RBI Baseball apart from the rest of the baseball games in the late 1980's.